"Andrew is one of the most knowledgeable, experienced professionals in the self-publishing sector. 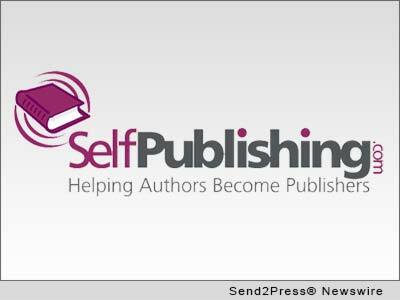 We're thrilled to have him aboard to help us continue to evolve into a full-service publishing option for independent authors who seek the highest quality printing and customer care," says Ron Pramschufer, a principal owner of Self-Publishing, Inc.
NEW YORK, N.Y., Jan. 14, 2014 (SEND2PRESS NEWSWIRE) — Self-Publishing, Inc., the venerated New York-based publishing services company, has appointed Andrew Pate to the position of Senior Vice President, Business Development. Pate’s accomplishments include growing Lightning Print into one of the largest Print-on-Demand (POD) providers in the world, now Lighting Source. In addition, he oversaw the increase of sales at Lulu, based in North Carolina, from $5 Million to $35 Million. He was most recently the Senior Vice President, Business Development of On Demand Books, the creator of the Expresso Book Machine. Mr. Pate got his start in publishing as Executive VP and COO of Rutledge Hill Press in 1996. During his tenure there, he successfully managed business through transition to sale to Thomas Nelson. Self-Publishing, Inc. was started in New York City in 1997, introducing a group of complimenting printers to the New York publishing market. The business quickly evolved into a publishing services business and has overseen the production of millions of copies of many thousands of titles. While the core business continues to be book printing, the services have increased to include editorial services, book layout and cover design (including ebook design), marketing, as well as book storage and fulfillment. POD distribution is provided through its Thor Distribution program. It was during the establishment of this program, that Ron Pramschufer and Dana Cole, principal owners of Self-Publishing, Inc. first met Andrew Pate. According to Pramschufer and Cole, Pate will hit the ground running. * LOGO 300dpi for media: Send2Press.com/wire/images/14-0114-self-pub_300dpi.jpg . News issued by: Self-Publishing, Inc. Original Keywords: Self-Publishing Inc, Print on Demand, Andrew Pate, Ron Pramschufer and Dana Cole, Books, Publishing, Printing, Education, POD, New York Self-Publishing, Inc. New York New York NEW YORK, N.Y.
RSS News Feed for Self-Publishing, Inc.
REFERENCES: Advertising and Marketing News, Self-Publishing Inc, Print on Demand, Andrew Pate, Ron Pramschufer and Dana Cole, Books, Publishing, Printing, Education, POD, New York Self-Publishing, Inc. New York New York NEW YORK, N.Y.